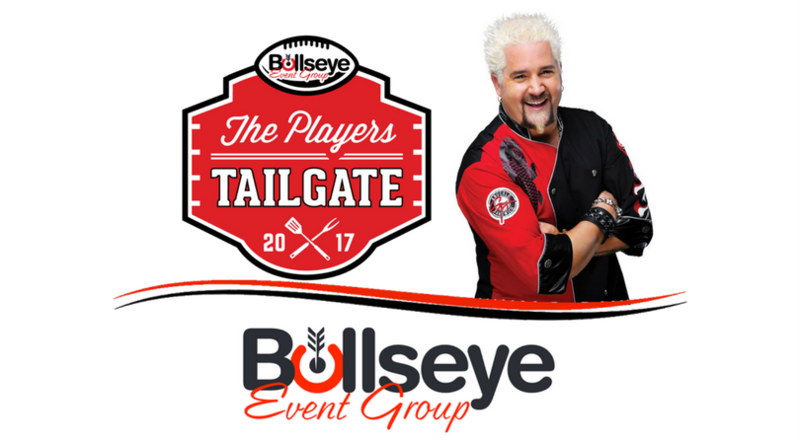 Bullseye Event Group is excited to announce the return of Guy Fieri as the head chef for the 2017 Players Tailgate at Super Bowl LI in Houston! The most recognizable chef in America, Fieri can be seen almost every day on Food Network, on shows such as Diners, Drive-Ins and Dives, Guy’s Grocery Games, Guy’s Big Bite and more. Fieri will head up the creation of an exclusive VIP menu, available to all Players Tailgate VIP guests. The menu will be released in December. With over 25 NFL players and some of the biggest celebrities, Bullseye’s 2017 Players Tailgate at Super Bowl LI will be the biggest and best pre-game tailgate in Houston. Alongside Fieri at Super Bowl 50 in San Francisco, the 2016 Players Tailgate featured Fox Sports reporter and emcee Erin Andrews, Victoria’s Secret model Adriana Lima, celebrity chefs G Garvin and Aaron May, all-pro NFL players and more.